All diabetics are at risk for developing diabetic retinopathy, but not everyone with diabetes develops it. Diabetes affects blood vessels throughout the body and diabetic retinopathy occurs when blood vessels in the eyes are affected by this process. The retina lies in the back of the eye and transmits visual images to the brain. 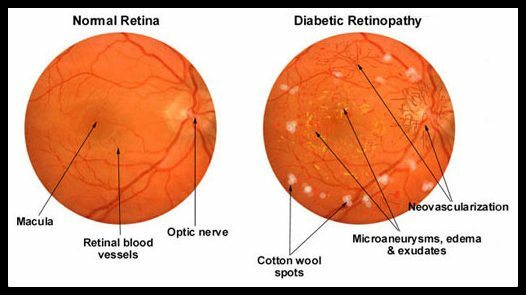 When the retinal blood vessels are damaged due to diabetes, they do not function properly. They may leak or bleed, impairing the ability of the retina to detect and transmit images. This is called non-proliferative diabetic retinopathy. As retinopathy becomes more advanced, new abnormal blood vessels may grow in the retina. This is called proliferative diabetic retinopathy. The abnormal vessels bleed into the eye or cause other problems such as retinal detachment. Both proliferative and non-proliferative diabetic retinopathy are often treated with laser treatment. There are usually no symptoms in the early stages of diabetic retinopathy. Vision may not change until the disease becomes severe. A thorough with exam is often the only way to diagnose changes in the vessels of your eyes, which is why yearly routine eye-care for diabetics is so important. At Eye Physicians of Northampton, you can feel secure knowing that our skilled eye physicians will recognize the warning signs, diagnose any possible complications due to diabetes and educate you on how to proceed and care for your eyes. One can reduce the risk of developing diabetic retinopathy by keeping their blood sugar levels well controlled. Working with your Primary Care or Diabetic Specialist is helpful in following your condition and treating it properly. Proper control of blood pressure is also helpful, monitoring your blood pressure regularly alongside your blood sugar levels can help assist your doctors in finding long term treatment that is right for you. 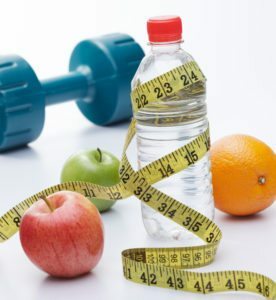 A balanced diet and regular exercise can help one maintain acceptable blood sugar levels. Consultation with a nutritionist can also be helpful in identifying foods that will help keep your blood sugar levels in a healthy range and develop a exercise plan that is appropriate for you and your healthcare goals.